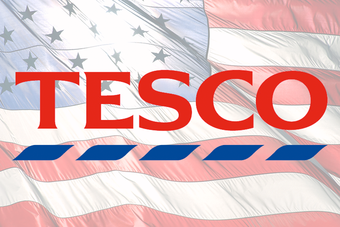 Tesco's CEO-designate Philip Clarke was today (5 October) today vowed to push ahead with its expansion in the market and said the UK retailer expected to break even across the Atlantic during 2012/13. Clarke said Tesco was "right to continue our store expansion programme" and insisted the retailer "no longer needs the economy to recover" to create a "scalable" business. 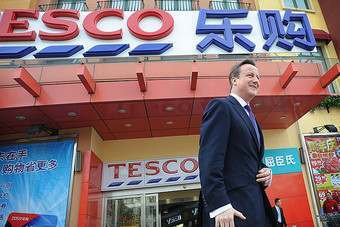 Tesco has faced pressure from shareholder groups to exit the US following continued losses and setbacks. 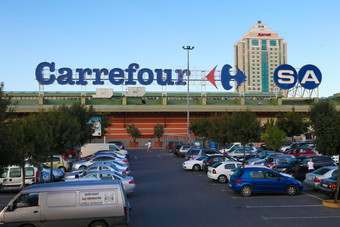 However, Clarke said that the foundation for growth in the country came from customer satisfaction citing consumer surveys that found Tesco's Fresh & Easy venture was outperforming local competitors Wal-Mart, Stater Bros. and Kroger on all criteria, from store environment through to customer service and value aside from its ability to provide a one-stop-shop. 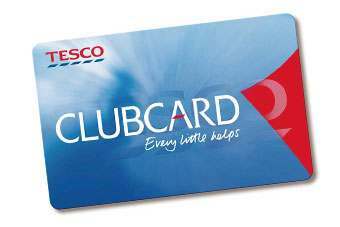 On the back of this, Clarke revealed Tesco would accelerate its expansion plan plans, aiming for its distribution centre to be at capacity with around 400 stores by the 2012/13 point when it expects to become profitable. Its sales and like-for-like results reflected his enthusiasm, with GBP247m sales for the half, a 47% increase on the same period last year and 10% like-for-like sales growth. However, profit was down 11.8%, booking a GBP95m loss, which he partially attributed to the company's acquisition of two of its major suppliers - Wild Rocket Foods and Two Sisters. 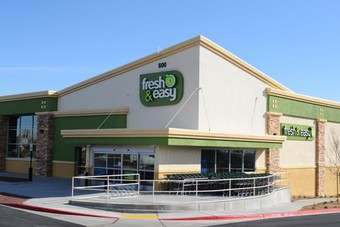 "First half losses at Fresh & Easy rose as a result of these acquisitions and also from additional rental costs incurred on unopened stores," the company said. The CEO designate said the acquisition would lower end-to-end costs and was already seeing improved service levels from a unit which sees some 30% of its food sales come from its private label. The company has now merged the Wild Rocket Foods and Two Sisters operations with its Riverside distribution centre. 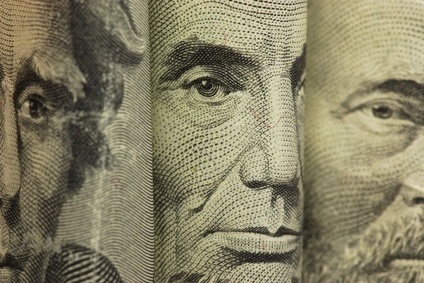 Additionally, he pointed to reductions in store losses in its US operations, with improving gross margin, marketing and distribution costs and as well as improvements in sales per payroll hour, which he summarised by saying that losses per store improve by 9% of sales. However, the news was not all positive in the US, with Clarke revealing that it had to "mothball" some 13 stores in Arizona and Nevada. He blamed the scope of the sub-prime mortgage crisis for the decision, saying that "whenever you plan to open stores, you work on the assumption that people will live there," but that with people "handing back the keys to their homes", that hasn't been the case. 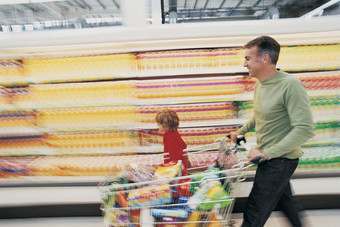 Yet, he added that the retailer will be holding onto the outlets for when the economy and population turns around. Tesco's numbers were "well received" by the analyst community, with Bernstein analyst Christopher Hogbin saying of the US operations that "the breakeven profitability is earlier that we had anticipated", but that if it can deliver against its targets, and narrow the operating losses from GBP160m to zero over three years, the US operations could add around 5% to group EBIT. Shares in the company were slightly up following the announcement of the news, up 0.58% to 432.5p at 14:48. 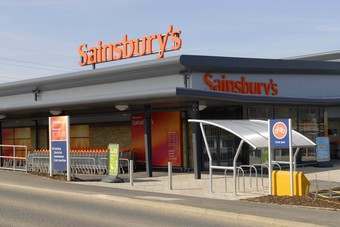 Comment: Do Sainsbury's results bode ill for the grocery sector?